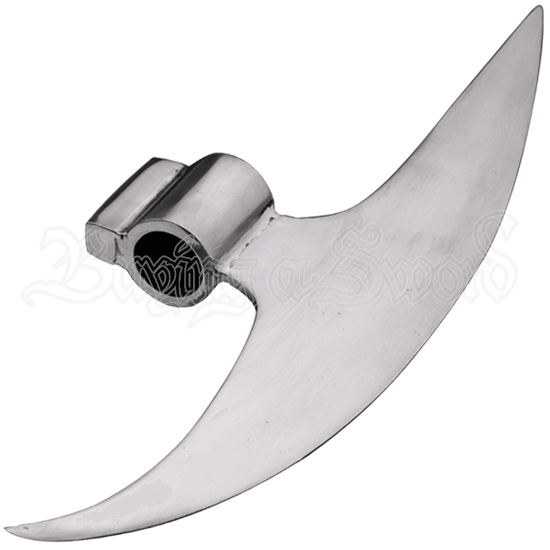 Create your own medieval weapon with the Bardiche Head. Great for the DIY inclined, this weapon component is ready for you to attach to a pole of your choosing. The bardiche was a popular weapon throughout historic Eastern Europe. The shape of this bardiche is reminiscent of those used in 13th and 14th centuries, making it great for recreating ancient weapons of old. Similar to an axe, the bardiche features a wide cutting edge. The top of the blade is straight and pointed while the bottom of the blade features a curve. It can be attached to a pole, not included, through a socket at the middle.